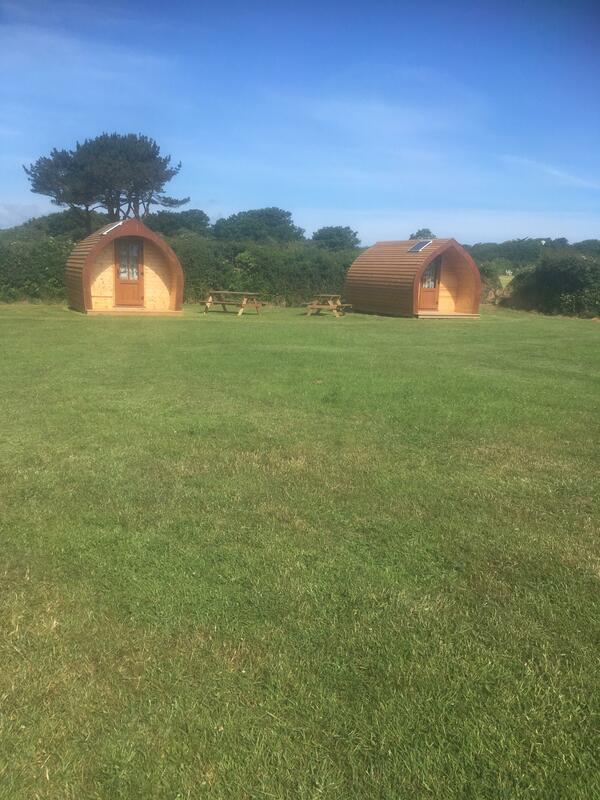 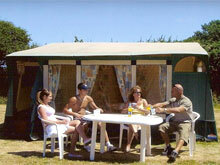 We are a peaceful family run campsite, now with camping pods and self-catering units also available. 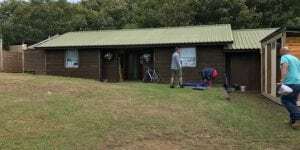 We are situated in unique surroundings with sea views, blue-bell valley and flat playing areas for both young and old. Situated between the Avenue and Dixcart bay you can pop to the shops on your bike in just 5 minutes down the tranquil lane to purchase breakfast, or take the 10 minute relaxing woodland stroll down to Dixcart beach, boasting sunshine for the best part of the day. 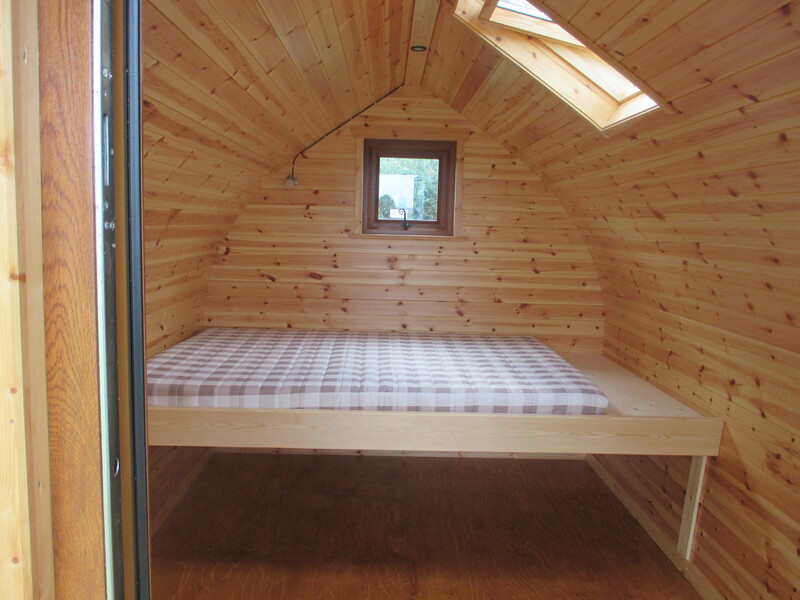 Ideal for a couple or a family of 4. Newly built by Chris and the team last season. 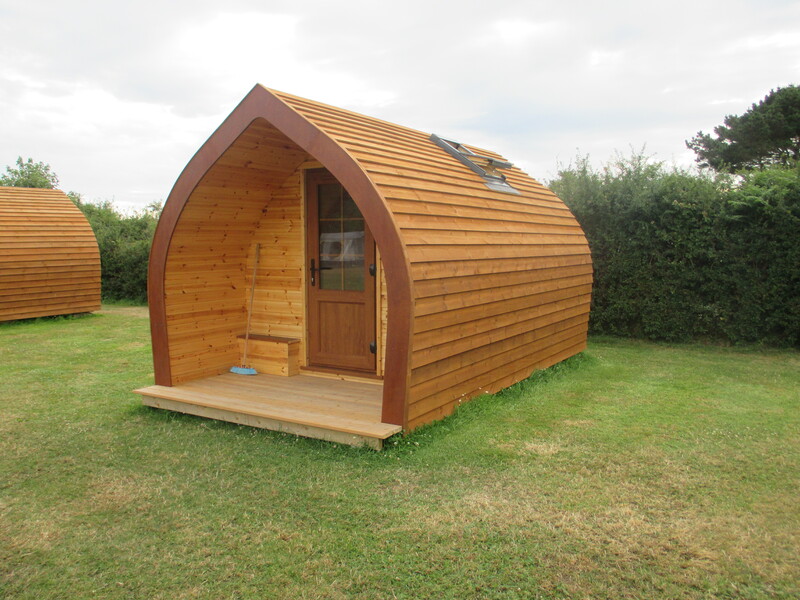 The freshly timber cladded pods still rich with the smell of fresh pine wood. Together with solar panels and batteries, enjoy the freedom of camping with the luxury of lights and usb sockets for charging your devices. With a fixed double bed there is definitely room for a couple and if you need more beds for a child or two we can also provide these. At Pomme de Chien we have fully equipped frame tents available to hire, all you need is sleeping bags and lighting. We also provide a pitch for you and your own tents and we also have limited pitches available for a seasonal deal. 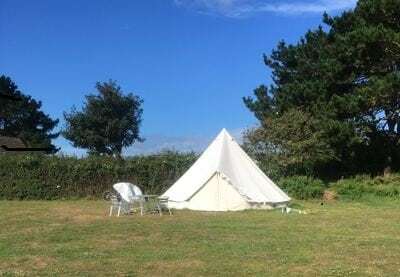 For something different this year, try out the belle tent, comfortably sleeping up to 4 people. 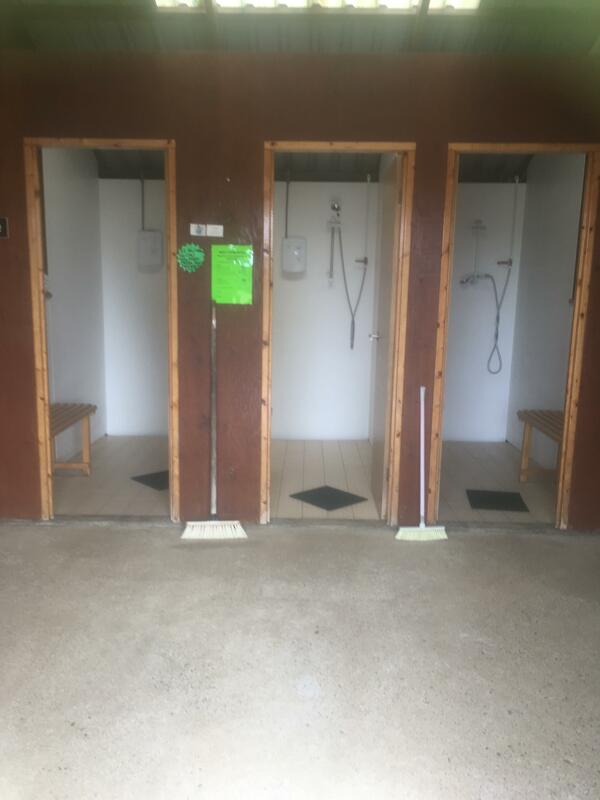 With the use of our purpose built shower block you will be pleased to know free hot shower are included. 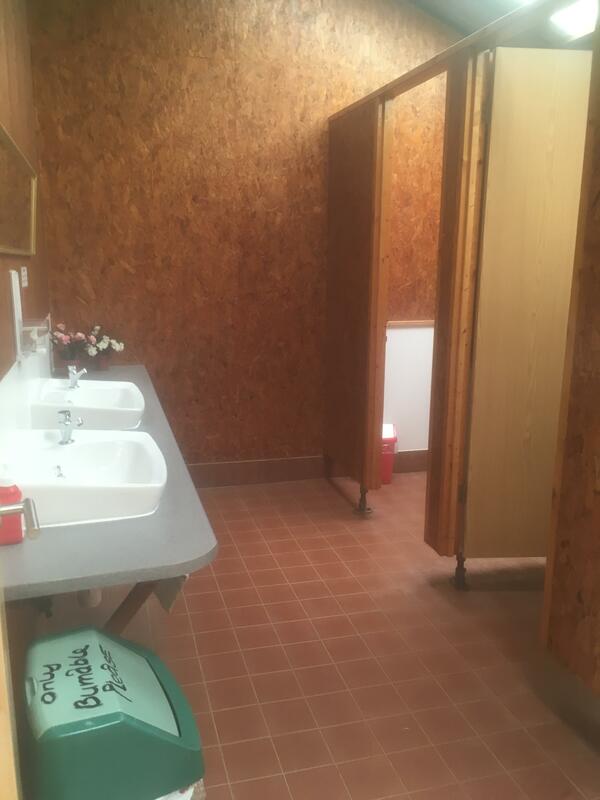 Facilities also include frozen ice packs, us of refrigerator and outdoor washing up areas. 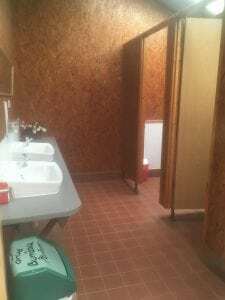 WCs, Handbasins, Washrooms, Dishwashing Facilities, Free Showers. 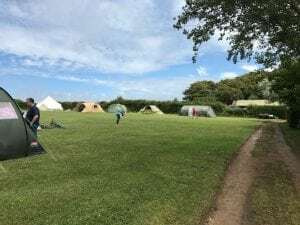 Fully equipped tents for hire, P.O.A. 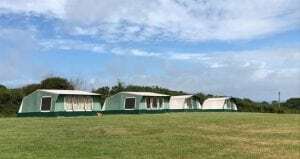 Contact Mr and Mrs Rang about terms for pre-erected, fully equipped tents.